It is said that people-to-people cooperation between Northern Norway and Russia continues as normal, but in Lujávre it´s gone quiet. “Sami friendship and life of ordinary people suffer from the politics. One cannot say that mentalities differ and apologize the lack of cooperation with different mentalities and therefore a lack of understanding for each other. We are Sami. We are the same,” says chief editor of Lovozerskaya Pravda, Valery Tkachev. He remembers a time when the Kola Sami peoples had their own radio station as a result of cooperation between four countries. “We built it together. We sat in the studio side by side. People from NRK in Norway, from Yle in Finland and from Swedish Radio.” Valery smiles a bit. It’s a memory of good times. Tkachev picks up the latest issue of his newspaper and shows how the studio now is completely slaughtered. It was not possible for me to take a look at the remains of the studio, but Valery shows photos. Kola Sami Radio, then and now. Photo: Thomas Nilsen (left) and Lovozerskaya Pravda (right). Valery Tkachev observation is that small contacts across national borders now are non-existing. “I don´t know why, but I suppose it’s because they are against Russia,” the editor replies and adds there are no longer any contact between journalists either. 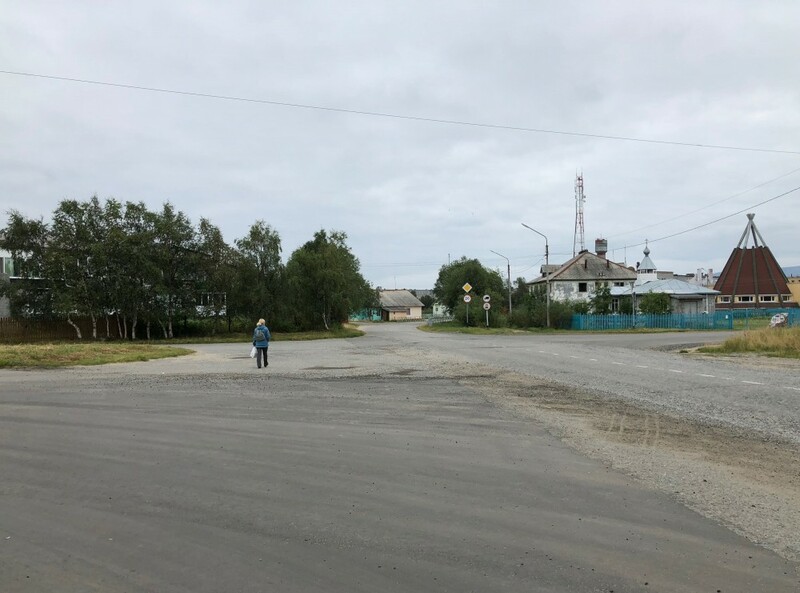 Lujávre (or Lovozero in Russian) is located 180 kilometers southeast of Murmansk, or 140 kilometers if you choose a more bumpy road. There is an airport which is the starting point for helicopter fishing trips on the Kola Peninsula, and most of the customers are wealthy moscowites. The village has fewer than 2800 inhabitants. The Sami make up 920 of these, and the unemployment rate among the Sami people is estimated at 35 to 50 percent. The monthly allowance is meager, but alcohol is still somehow acquired. There are no traces of humanitarian work, apart from the help people give each other. “Putin lives like a tsar, but his people are starving,” notes one of the inhabitants. There are major challenges related to alcoholism, and transition from tundra life to life in apartment blocks has been difficult for some. The hospital is closed, now there is only a policlinic left. It is also reported that civil rights are under pressure. Gennady Lukin warns against the Barents cooperation flying far far over the heads of people in Lujávre and that it takes place at elite level. “Previously Sami lived together without borders,” he reminds. “Later there were borders. 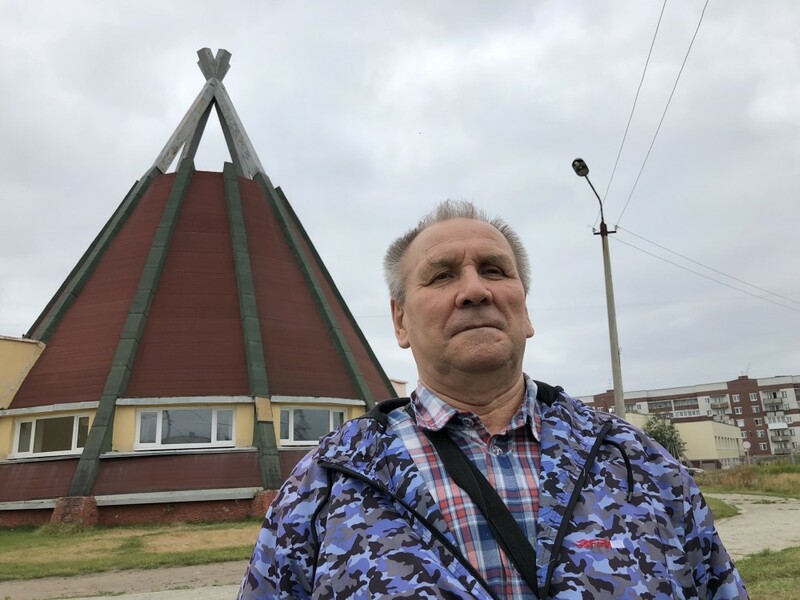 With the Barents Secretariat and Saami Council it became possible to run joint projects,” he describes and adds that he is very grateful for the сo operation with Karasjok municipality which let him, among many others, attend a course in Northern Sami language. 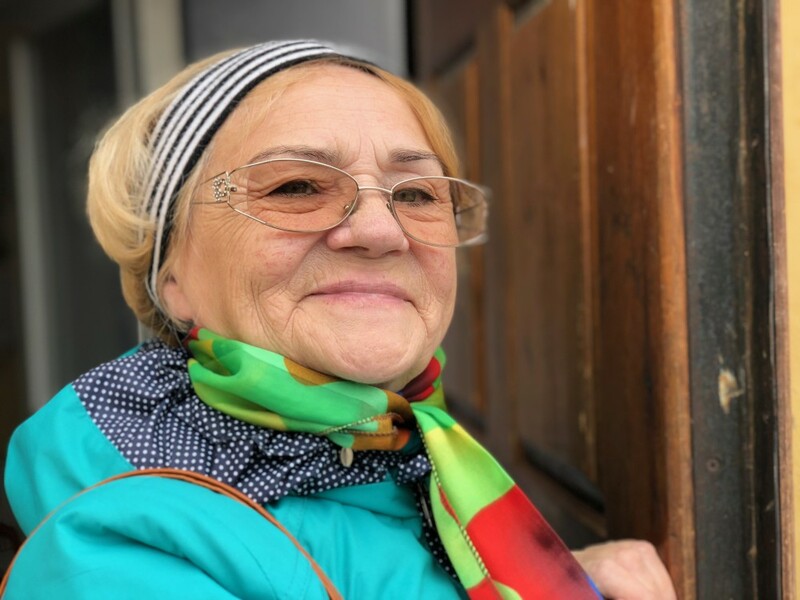 “In the 1990s there was active exchange between Karasjok and Lujávre, it was a nice time that I am thankful for. It brings other perspectives and a different understanding when one can choose to speak ones mother tongue,” he points to and emphasizes that education in Kildin Sami language is an area Lujávre has great need for. Lukin also notes that there is hardly any information available on how regional fundings internally in Russia are distributed, and he calls for democratization and transparency. Gennady himself had a dream of becoming a reindeer herder, but his mother advised him against this as she thought the work was too hard. Now he thinks children in Lujávri should learn. Lukin tells how the Soviet era affected the Sami vocabulary for example the reindeer-herding terminology disappeared. Sergei Filipchenko describes that in the 1990s he believed cooperation over the northern borders would increase, but instead there has been less activity. Filipchenko also describes a negative spiral where the radio has been closed, the hospital has been closed and where political rights erodes like direct elections for the position as mayor. Maria Medvedeva has previously published a book of Sami children’s toys, and is now working on a manuscript on Kildin Sami joiks. What is required for the voices to be heard? “What happened to The Kola Sami Radio is a great pity,” says former NRK Sápmi director Nils Johan Heatta. 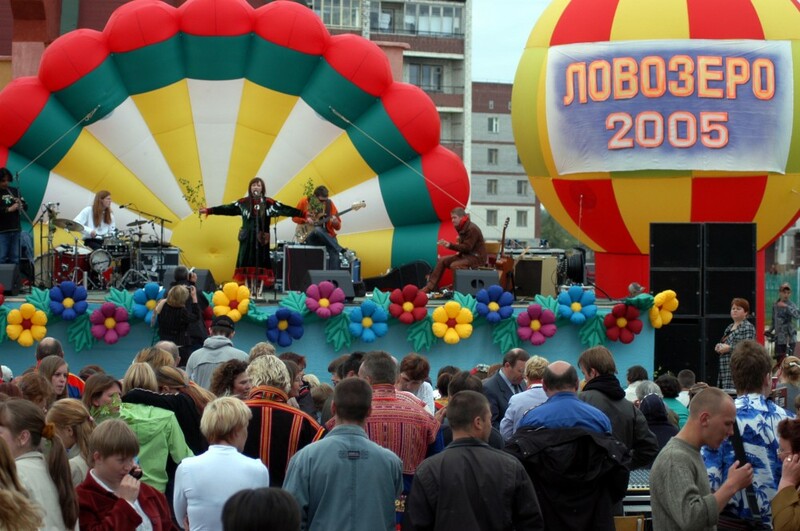 The project started in the 1990s when GTRK, the regional television company in Murmansk, decided to close the Sami cable radio broadcasting due to lack of financial abilities. Heatta describes major challenges with the technical development of the radio station, especially with obtaining the broadcasting permit. The radio station officially opened in 2005 and the goal was a permanent operation. After numerous attempts, it became clear that it was impossible to get further funding from the Norwegian side. Nils Johan Heatta says it needed to much work to move on with the project, it also became economically stressful. The main project for the radio had a price tag of about 1,8 million Norwegian kroner (€186,000), including 65,000 kroner (€6,900) in Barents funds. Heatta says that as he looks back he believes they did what was possible. The former NRK Sápmi director says he understands why Lujávre feel it´s become quiet. Nils Johan Heatta does not think people differently about cooperation because of the tense political situation between Norway and Russia. The head of the Barents Secretariat, Lars Georg Fordal, is surprised by the criticism stating its difficult to get information from the Barents Secretariat in Murmansk and that there is little help in finding a partner. Having a partner on the other side of the border is necessary to get a possibility to apply for financial support. “The Barents Secretariat’s office in Murmansk has a lot of outward business. As we can see, they contribute to realization of numerous projects. I have only kind words to say about our employees in Murmansk, and I think they are dutiful and perfect at providing information about our work as well as finding partners. In case somebody is dissatisfied with the acceptance at the Murmansk office, he should contact us in Kirkenes and we can find out what causes this dissatisfaction,” comments Lars Georg Fordal. Fordal underlines that it is important that people do not have unrealistic expectations about how active the Barents Secretariat can be in a project. There are many other voices in Lujávre stating total standstill in people-to-people cooperation. What´s your comment? “It’s a pity if someone in Lujávre thinks it has gone quiet around people-to-people cooperation. It indicates that maybe there are fewer projects in this area. The Barents Secretariat marks project activity at the same level in 2017, and indeed projects number increase. If It’s quiet in the Lujávre area, so it’s only for those who might want more activity to find Norwegian partner and initiate cooperation. People themselves are supposed to establish and develop contacts across the borders,” says Lars Georg Fordal. 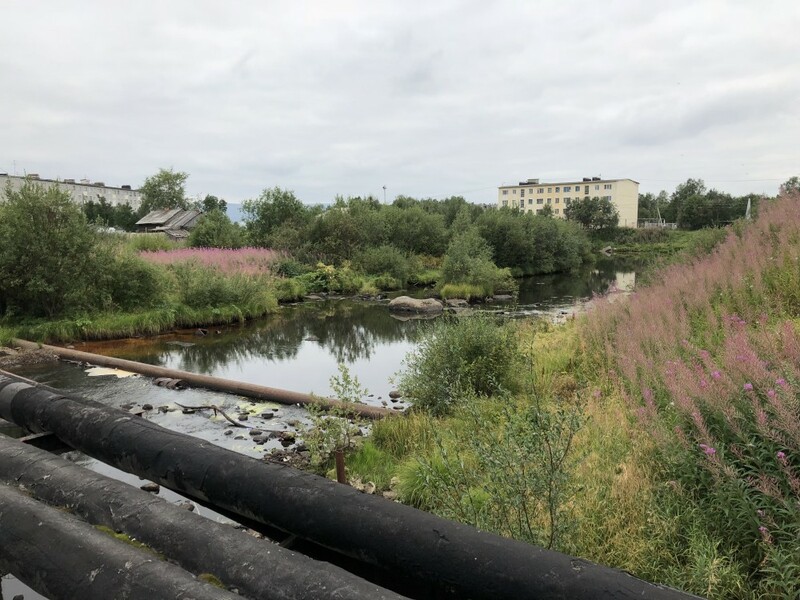 This article is part of a serie of articles with focus on life and contacts in the Norwegian-Russian borderland in the north.